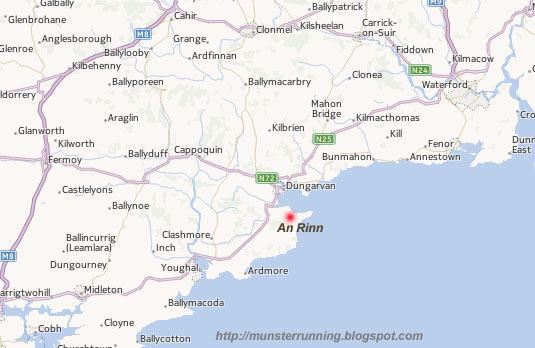 Located just south of Dungarvan in West Waterford, the Gaeltacht area of An Rinn (Ring) is the location for the annual Rás na Rinne. 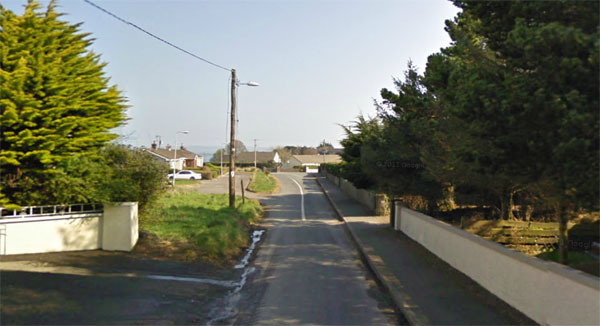 The start and finish of the race is on this small road at the west side of the station (You can see the Colaiste Na Rinne in the distance on the left). 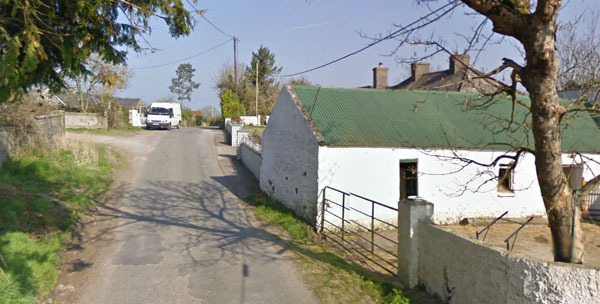 Entries for the race will be taken at Halla Phobail na Rinne which is about 200 metres down the main road on the right. 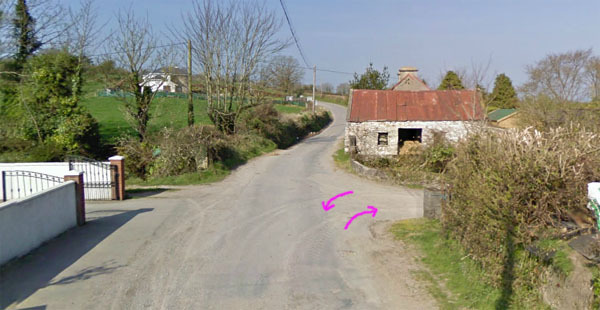 The course.......The race starts and finishes at the side of the Garda station. 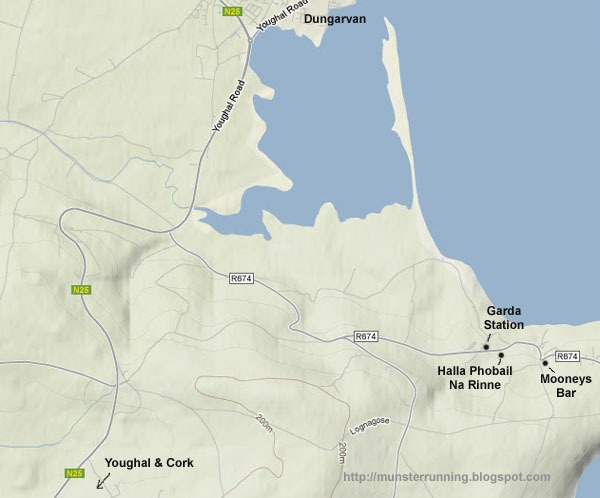 The easiest way to describe the course is that it is downhill for the first 1.2 miles, then roughly 3 miles off road on the Cunnigar Spit that goes out across Dungarvan Harbour and then 1.2 miles of uphill running back to the finish line. The race course is roughly 5.4 miles in length. 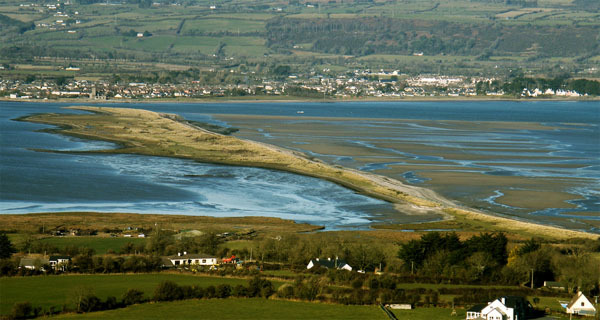 ......and from there, you will be directed onto the off-road section. Roughly 3.5 miles of the course is on the off-road section. Once completed, you retrace your footsteps back up to the finish line. 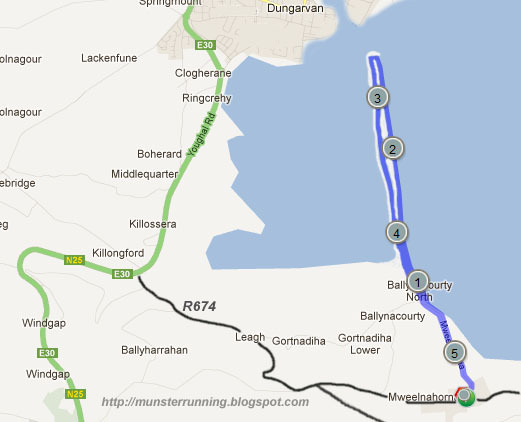 Overall.......A different type of race from the usual with a mixture of roads, beach and trails. The opening mile is fast and furious although you'll have to pay for it in the last mile! Fantastic spot on a sunny evening.